It's almost ten months since the last one here. 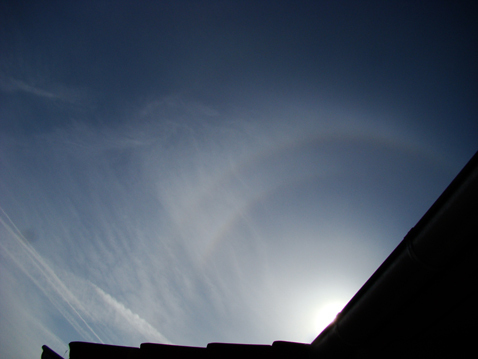 April 2nd was "halo-active" over much of Germany, although yours was the only odd one. It consists of an 18-,20-(weak) and a 23/24-deg-ring with hints of a 9-deg.